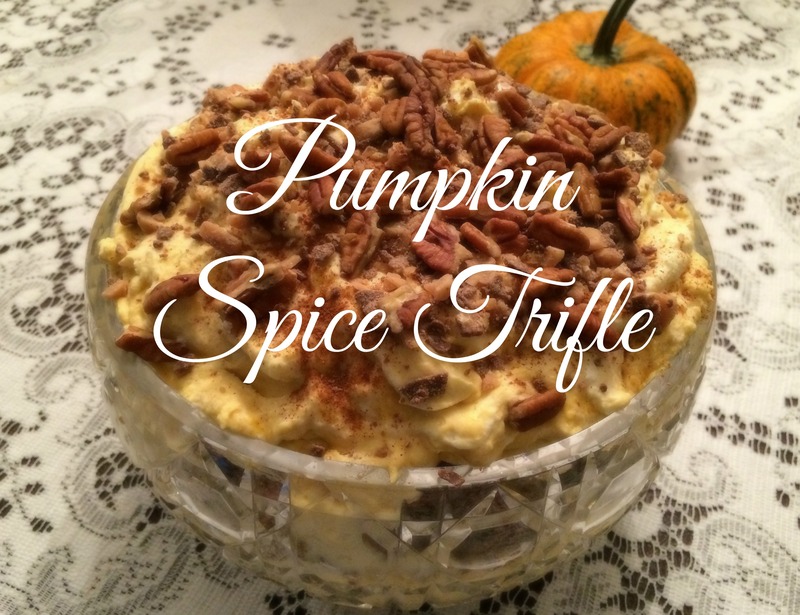 ‘Tis the season for everything pumpkin and I have an absolutely delicious dessert to share with you that will be a hit no matter what office party/ family gathering/ dinner with the kiddos/ hiding away on the sofa with a bowl & spoon situation you might find yourself in! 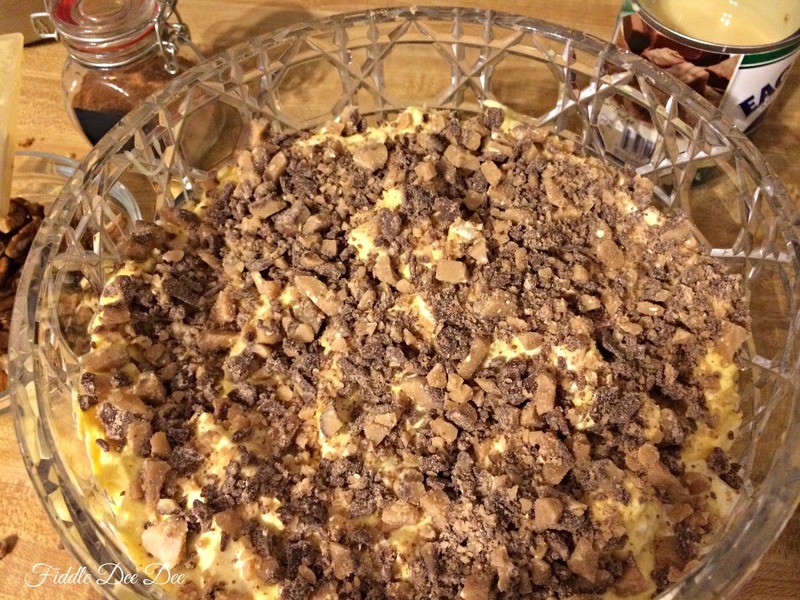 To top this delicious bowl of heaven off is the fact it is so easy to make that you can let a child assemble it while you handle the more difficult tasks of the moment …. Like maybe sipping a cup of tea while reading Southern Living magazine. 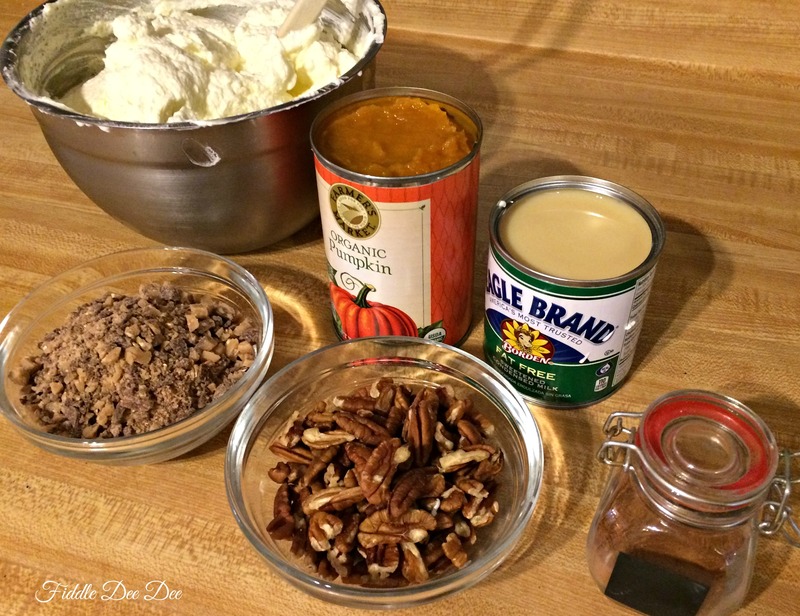 Before beginning to assemble the Pumpkin Spice Trifle, fold in the can of pumpkin with the cream you have whipped. Be careful not to beat or mix it in too heavily or you will break down the whipped cream! 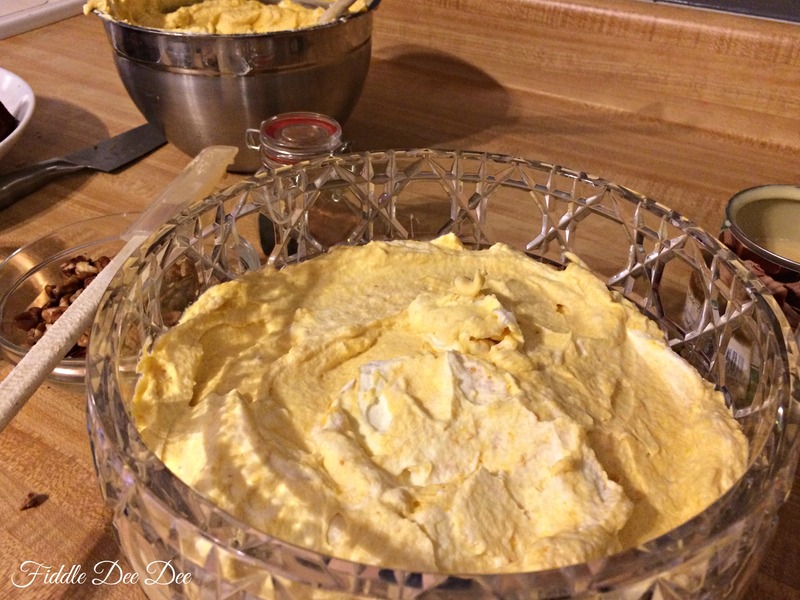 The whipped cream will take on a pretty and festive orange hue. Now onto assembling your dessert! 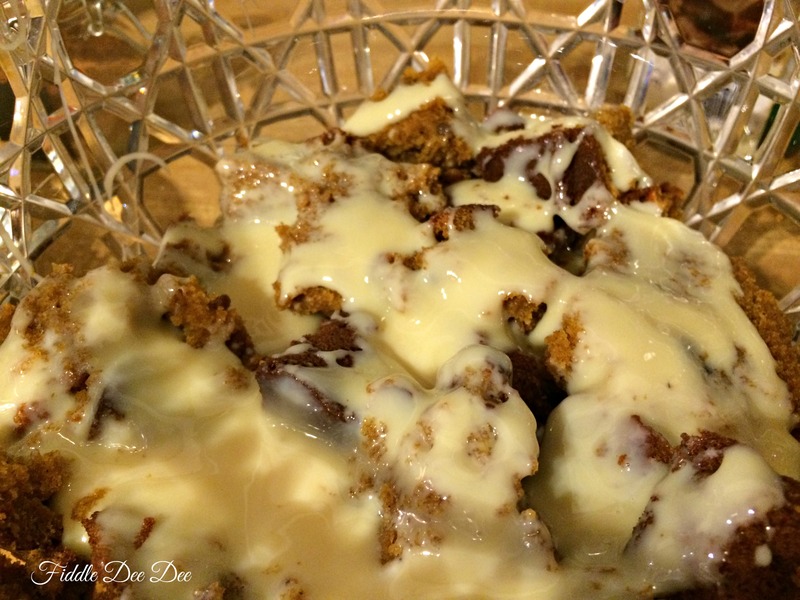 Scrumptious freshly baked pumpkin bread …. it’s so difficult not to nibble while assembling all of these sweet goodies! 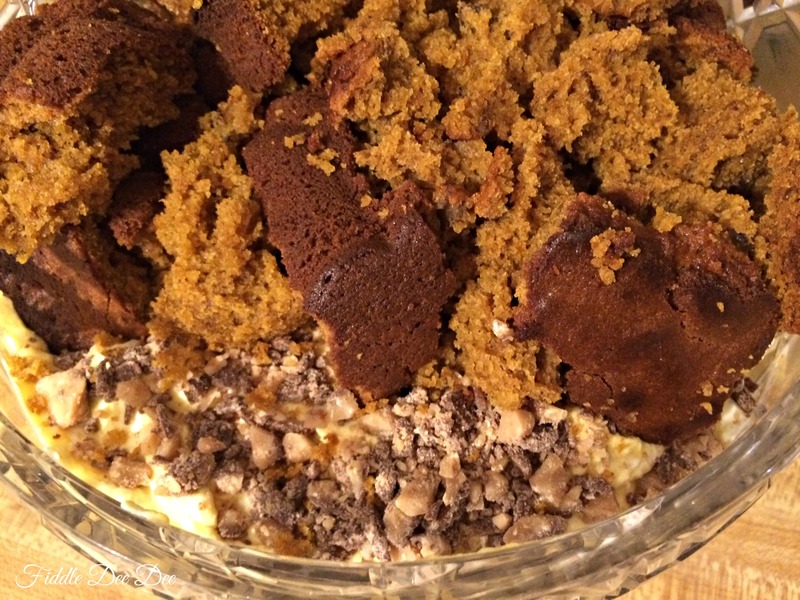 Layer one is a solid layer of pumpkin bread covering the bottom of your bowl. 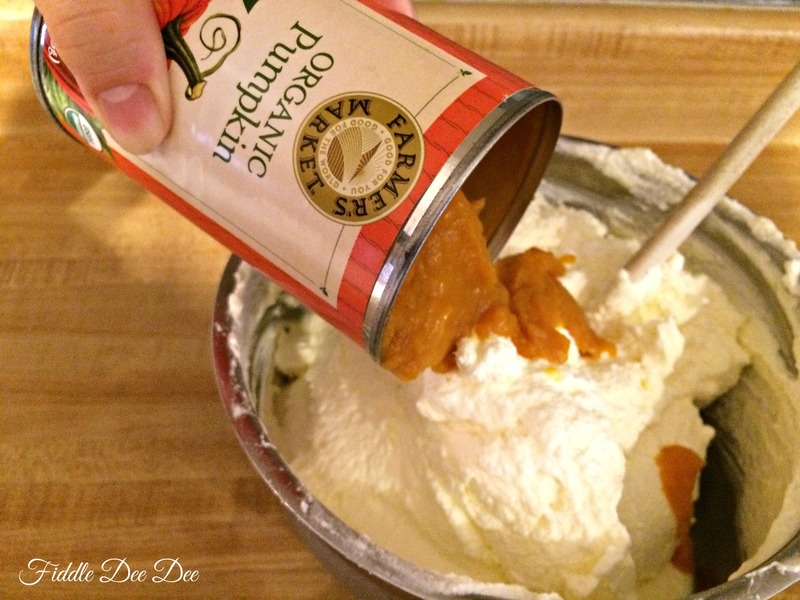 Layer two is drizzling a half can of Sweetened Condensed milk over the layer of pumpkin bread. I use a spatula to help spread it as evenly as possible. I also use fat-free Eagle brand, well, because it keeps me from feeling so guilty. 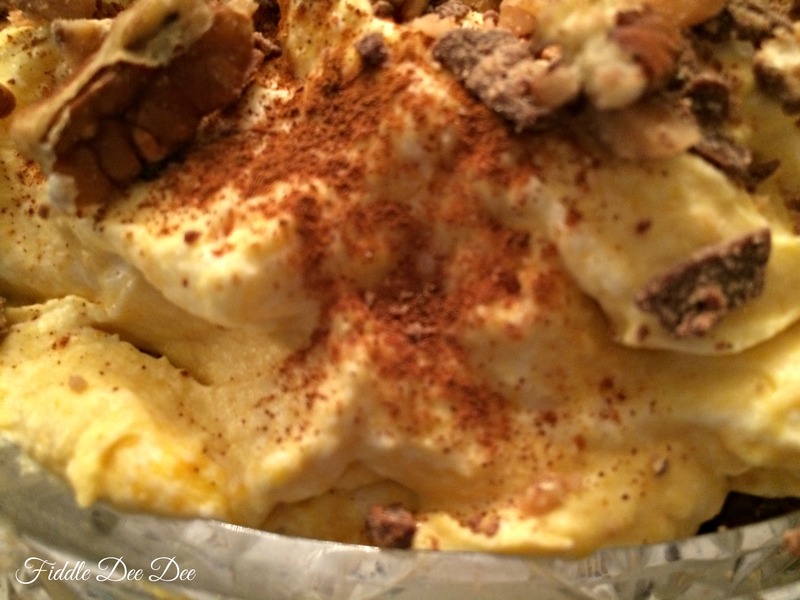 Layer three is a nice fluffy layer of the pumpkin laced whipped cream. Use your spatula to help spread it across the layer of bread and milk. Layer four is 3/4 of your package of Heath bits. Cover your whipped topping with these to the bowl’s edge. 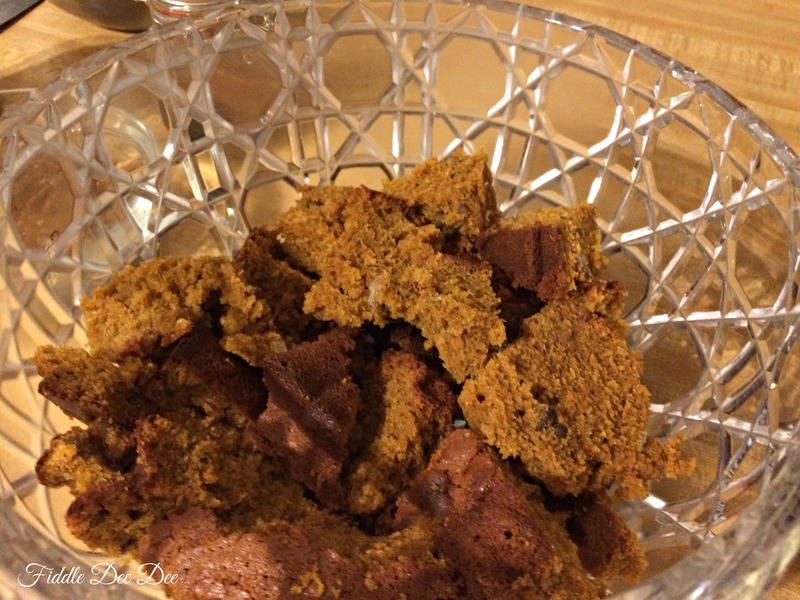 Layer five is a second layer of pumpkin bread. Layer six is the other half of your can of Sweetened Condensed milk. 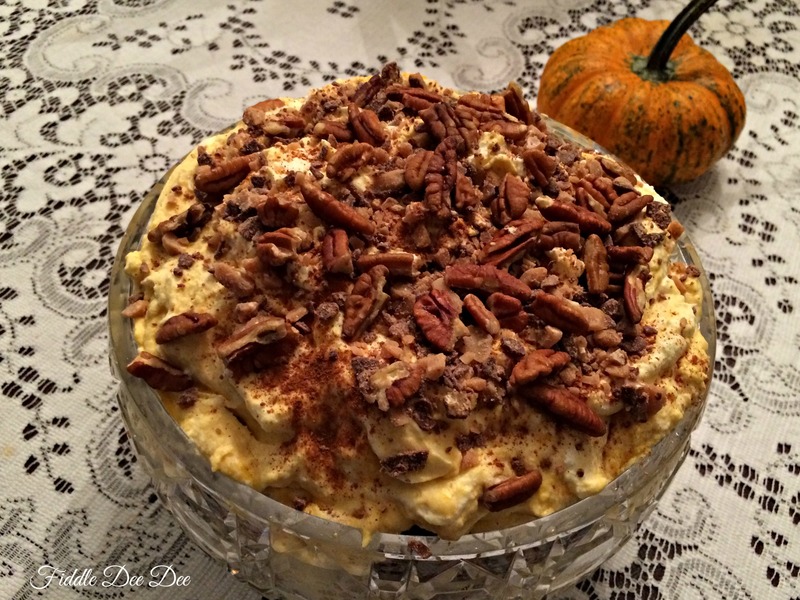 Layer seven and eight is a thick, fluffy layer of pumpkin laced whipped cream with a little cinnamon sprinkled across the top. Now you have a dessert that looks pretty, tastes great and your guests will think you spent HOURS making it so special for them! And in case this is a little more trouble than you want for an easy dessert, here are a few shortcuts and ideas to make it even easier or change it up a little! 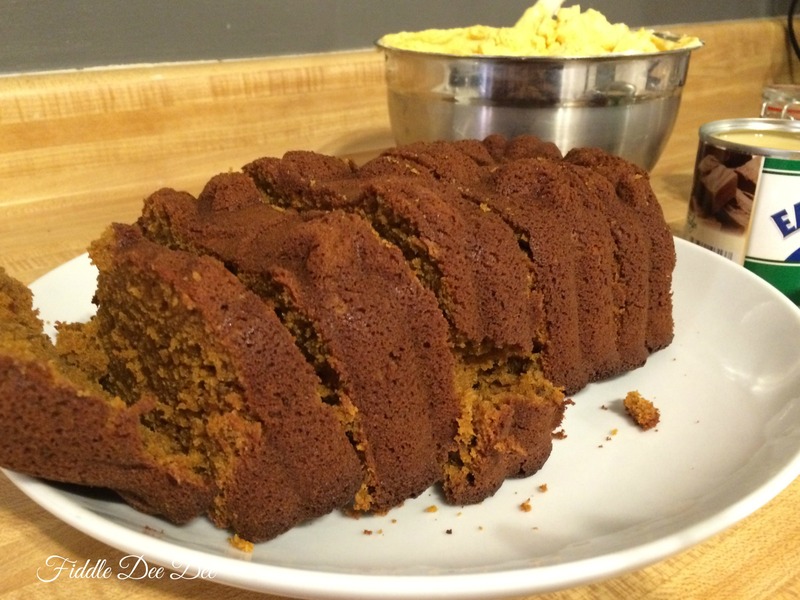 *Pick up pumpkin muffins from your local grocery store bakery for the pumpkin bread layers. 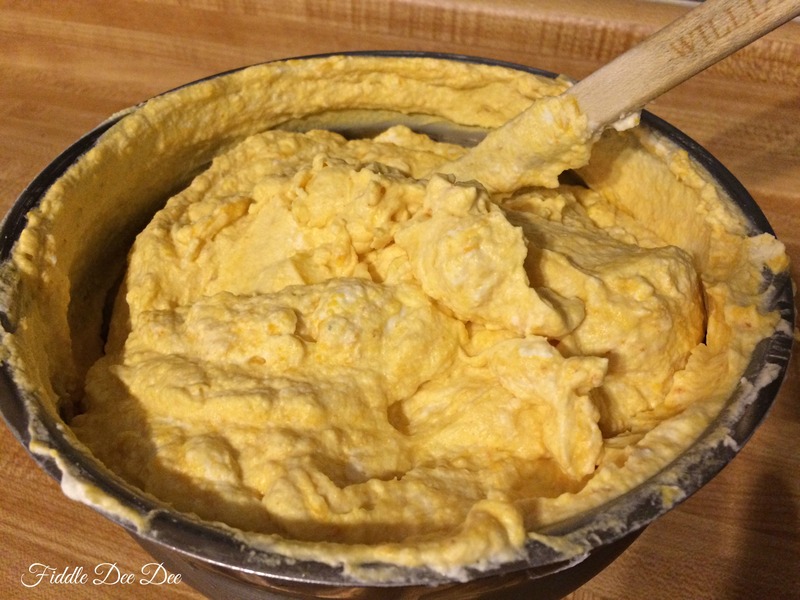 *Use 1 1/2 tubs of cool whip instead of whipping your own heavy cream. *Instead of Heath bits, use Pumpkin Spiced latte M & M’s. 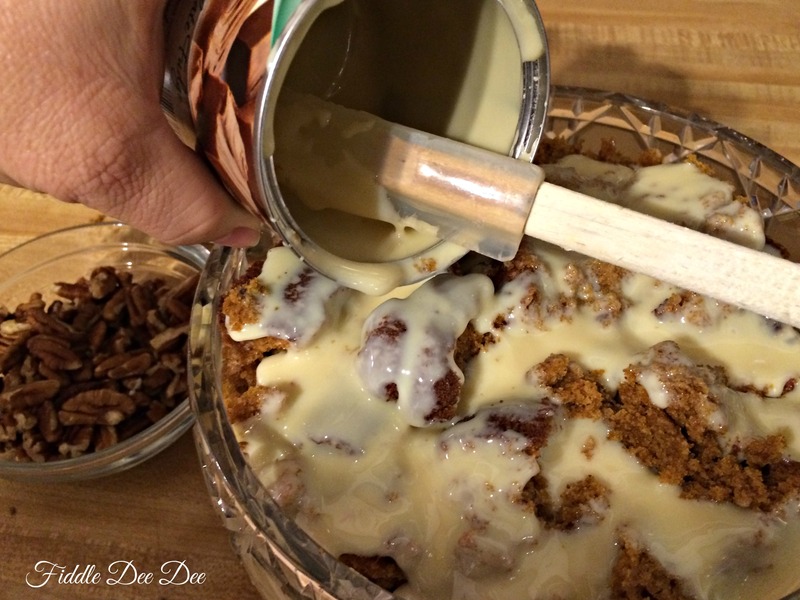 *Try using nutmeg or pumpkin pie spice in place of the cinnamon. 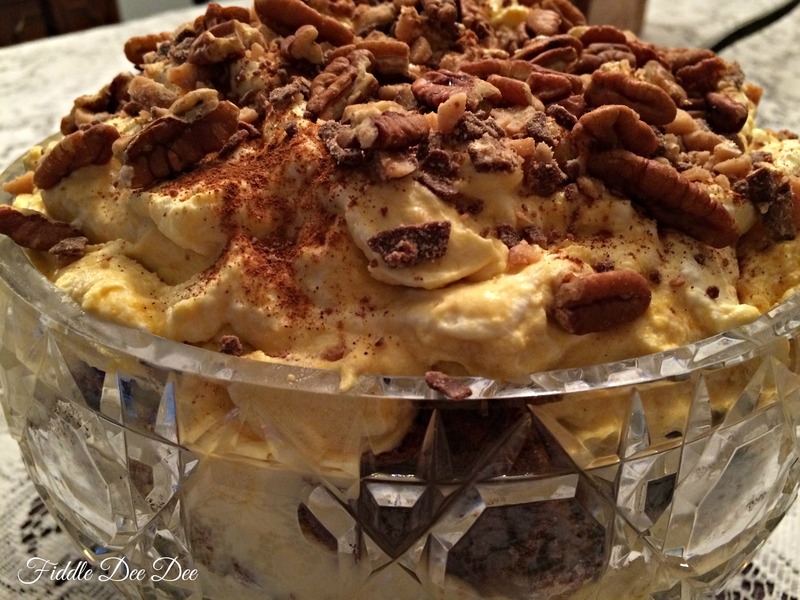 *If you need a workout for the gym after indulging in this sweet trifle, I can write one for you. If you want to see me assembling this, check out my Periscope broadcast from over the weekend. Just keep in mind, I changed my college major from broadcast journalism to Public Relations for a reason. 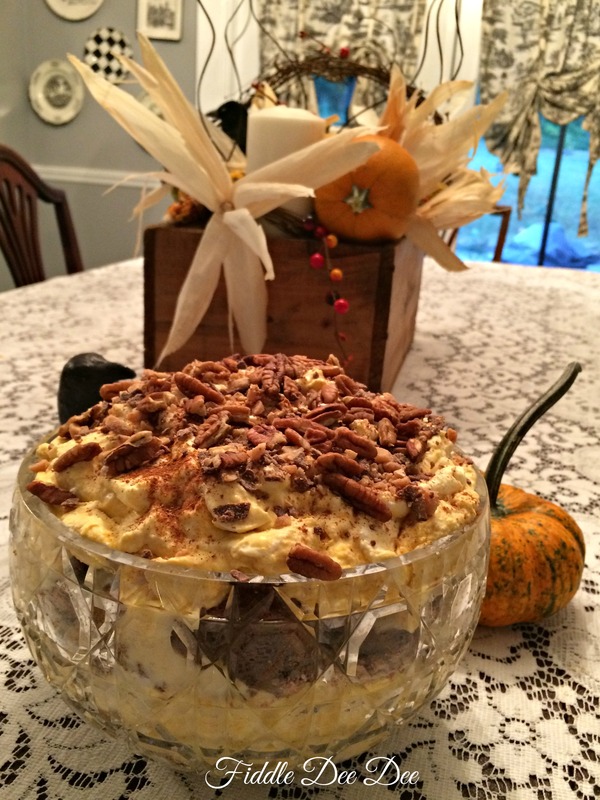 this was awesome Jen…..and the recipe sounds so good……I have been gathering recipes for our Thanksgiving feast the last couple of weeks….and I think this will be added! I cannot tell you how anxious I am to make this. In fact, my mouth is watering just sitting here thinking about it and I’m not kidding! I referenced this today on my blog. It’s a really great recipe.